Especially if your tank runs with a soil-based substrate, a suitably-sized pair of tweezers is very important when it comes to planting. When planted without tweezers, aquatic plants have a far higher tendency to become buoyant, and, in addition, if you plant with your fingers you have a high risk of destroying soil granules, which may lead to early compaction of the substrate. 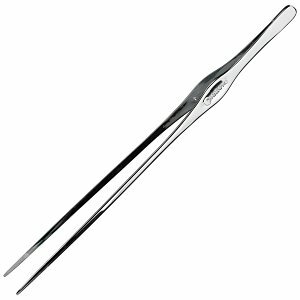 Tweezers come in many forms and lengths: some are curved, others are straight, some have a very fine point, some a somewhat wider one. 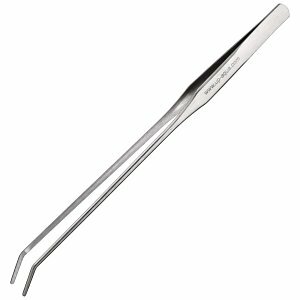 Ground-covering plants ought to be planted with a fine pair of tweezers, coarser designs are suitable for large tuberous plants or water plants with a large rhizome. 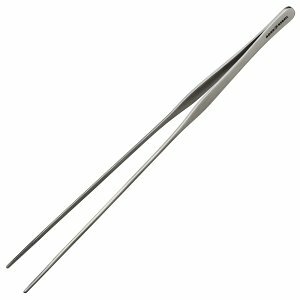 A good pair of tweezers needs to have well-balanced tension in order to hold the plants securely without squeezing them too hard. Short tweezers transmit the tensioning force more directly and have a better manoeuvrability when it comes to planting in restricted spaces. Longer tweezers help aquascapers in accessing difficult-to-reach spaces in the layout. 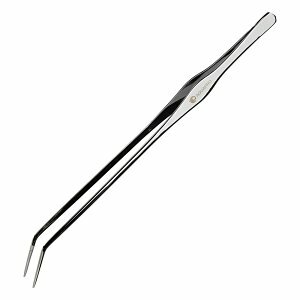 Tweezers are a very useful tool in aquaristics and terraristics. In addition to being able to precisely place food, tweezers can be used to move or remove hard-to-reach objects without having to get your hands wet. Unwanted food remains, plant parts, animal carcasses or empty snail shells can be easily removed. Smaller stones or pieces of wood can be moved around when redecorating the aquascape. 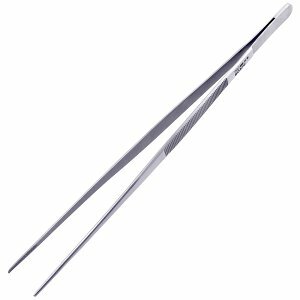 Tweezers are particularly helpful when setting aquatic plants, especially in plant aquariums and aquascapes. With such a tool, such work is much easier for you than, for example, setting plants with your bare hands. The use of tweezers is highly recommended in aquariums with soil substrate, which is made of much lighter particles than sand and gravel. Due to the buoyancy of the plants, it is much easier setting them with a suitable pair of tweezers. 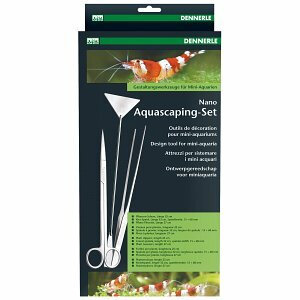 Similar to other aquascaping tools you can buy tweezers in many different designs in our online shop. The length of the tool should be selected when purchasing to match the dimensions of the different aquarium types. Short, agile tweezers are well-suited in a nano tank, long tweezers with a longer reach are required in taller aquariums to not get your hands wet. 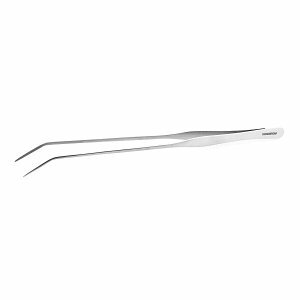 In addition, tweezers are available with either straight or curved tips. 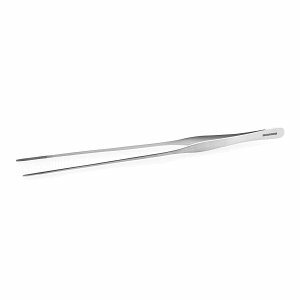 While a straight version has a better reach, curved tip tweezers allow you to get to hard-to-reach areas in the aquarium, for example, below stone structures or in between dense roots. Tweezers with fine and coarse tips are available. The latter is good for setting multiple stems of a background plant at once, or to insert larger tubers, bulb plants or epiphytes. A fine tip is ideal for setting single, thin stalks and solitary plants. It is also a useful tool for detail work in an aquascape.